Have you ever seen a sweeter tiny little diamond ring? 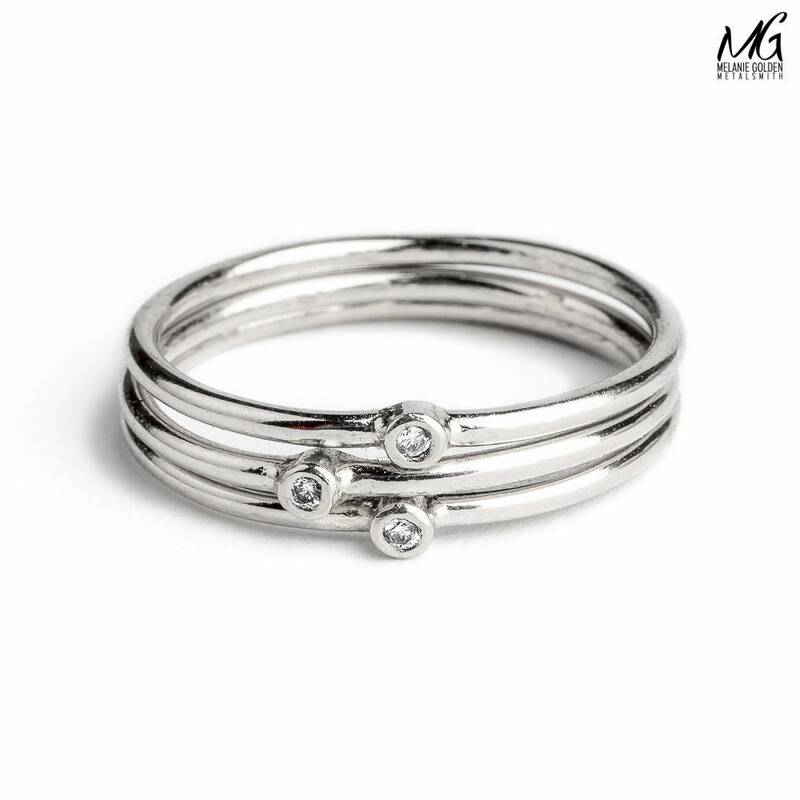 These rings are so precious, and perfect to add a little sparkle to your wardrobe! 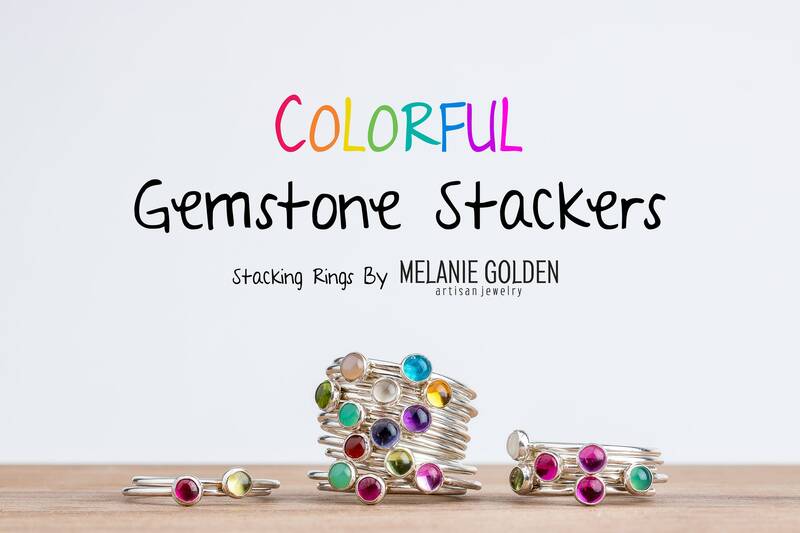 These rings can be worn alone or stacked with others. Diamond is the birthstone for April. Composed only of carbon and shaped by eons of incredible heat and pressure, diamond is the hardest gemstone known to man. When properly cut, diamond generates a high dispersion of light, creating the "fire" of color for which the stone is so treasured. 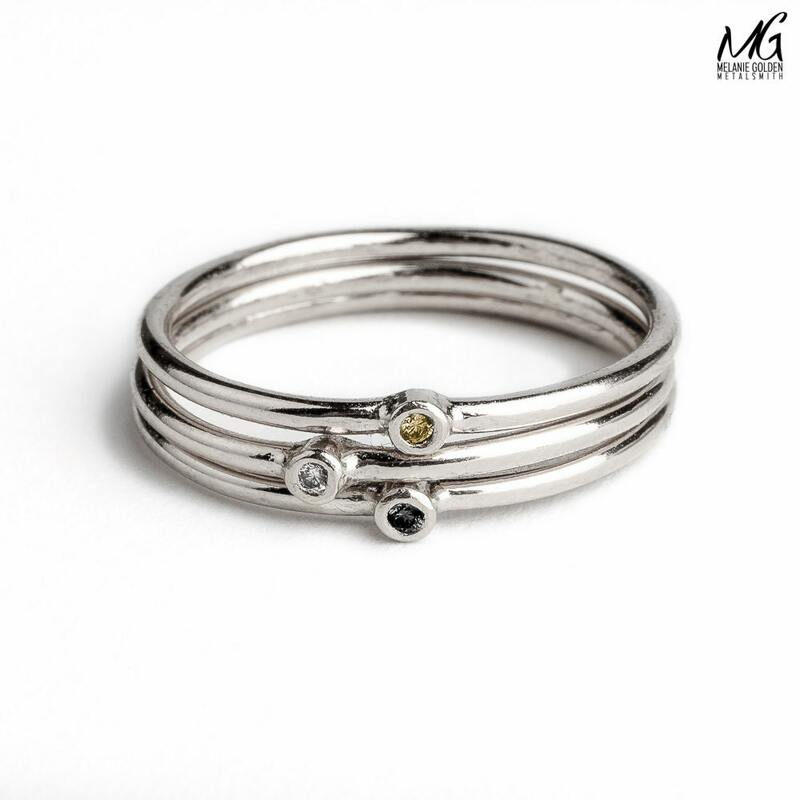 Diamonds occur in nature in a variety of colors including red, green, yellow, blue and black. Folklore says that diamond is the symbol of perfection and illumination, enhancing second sight and stimulating ingenuity. These natural diamonds feature a round brilliant cut, which is the classic and most popular cut for diamonds. Round brilliant cut diamonds are cut into 58-facets. The number and arrangement of the facets is precisely calibrated to achieve maximum light dispersion. All diamonds are certified conflict-free. 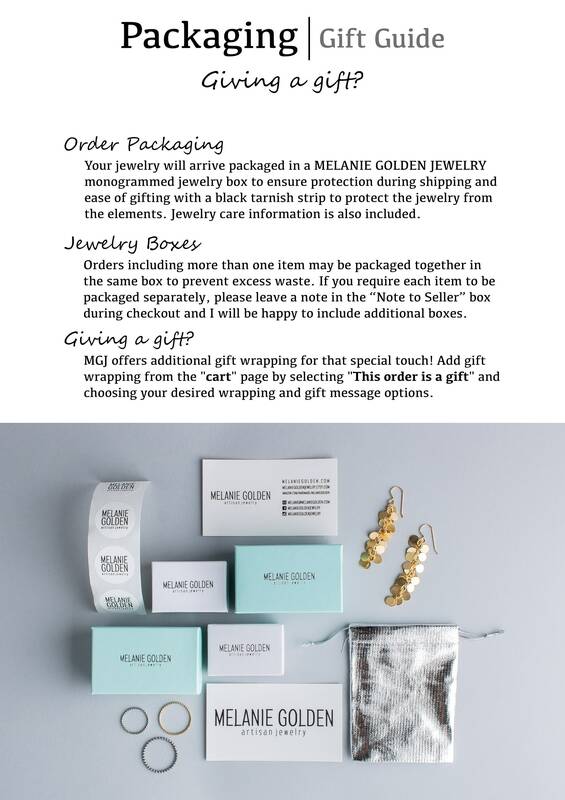 Diamonds are purchased directly from a company who has earned certification from the Responsible Jewellery Council, verifying that they are in compliance with the Kimberley Accord and that the stones meet the high standards of the RJC Code of Practices. - White Diamonds measure 1.3mm (.01CT - I1 Grade). 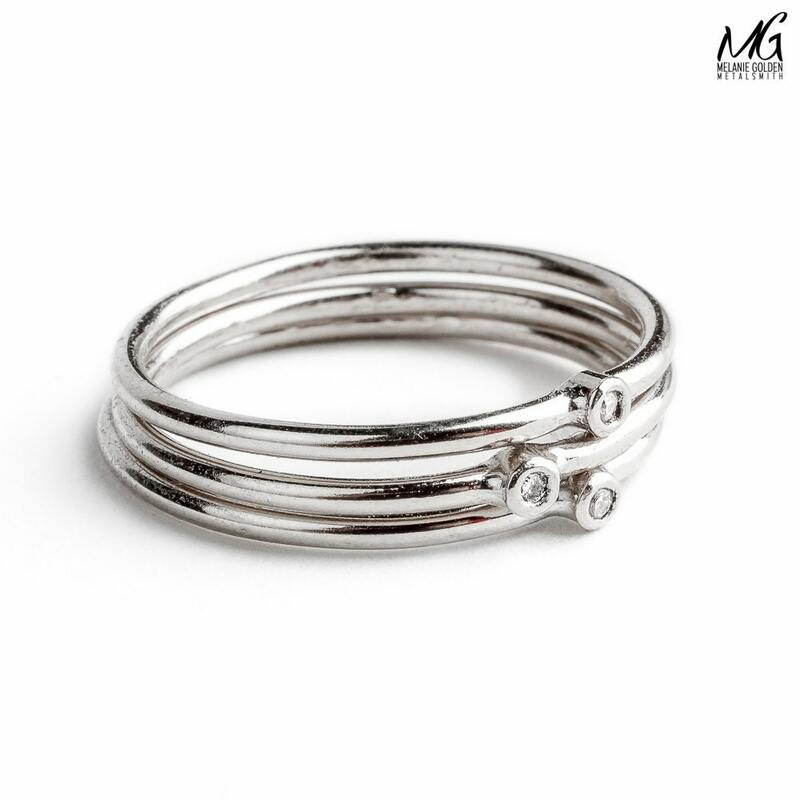 - Rings are made entirely from 925 Sterling Silver and genuine white Diamonds. - Choose the number of rings you want from the drop down menu. 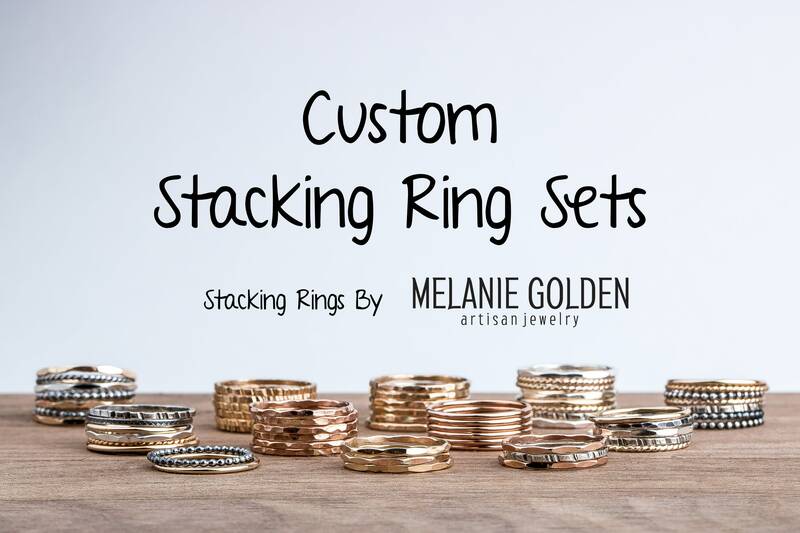 Message me if you need a different number of rings. These rings are darling! 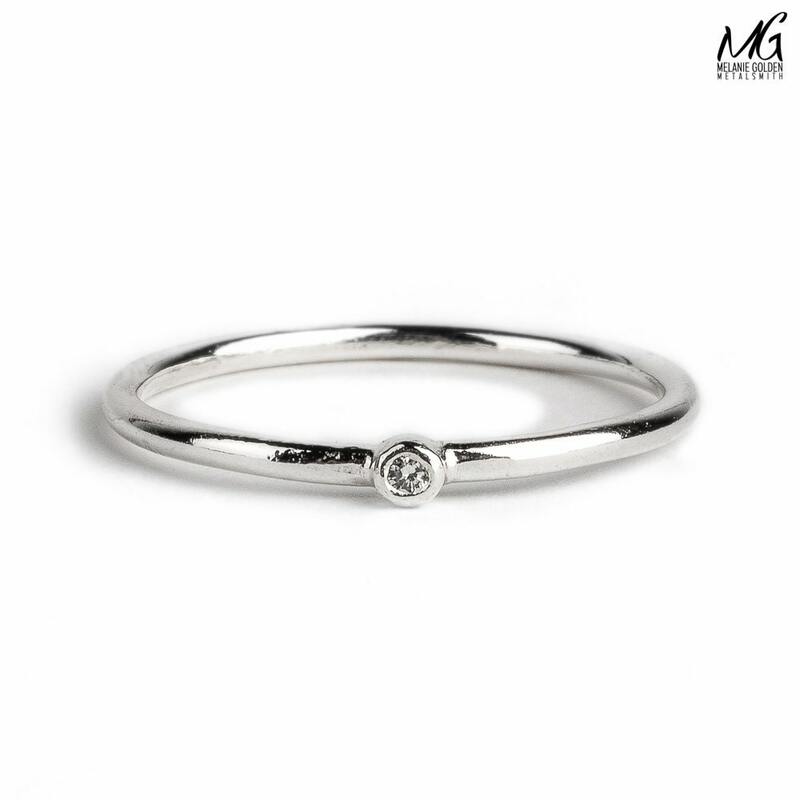 A tiny diamond to sparkle on your finger! 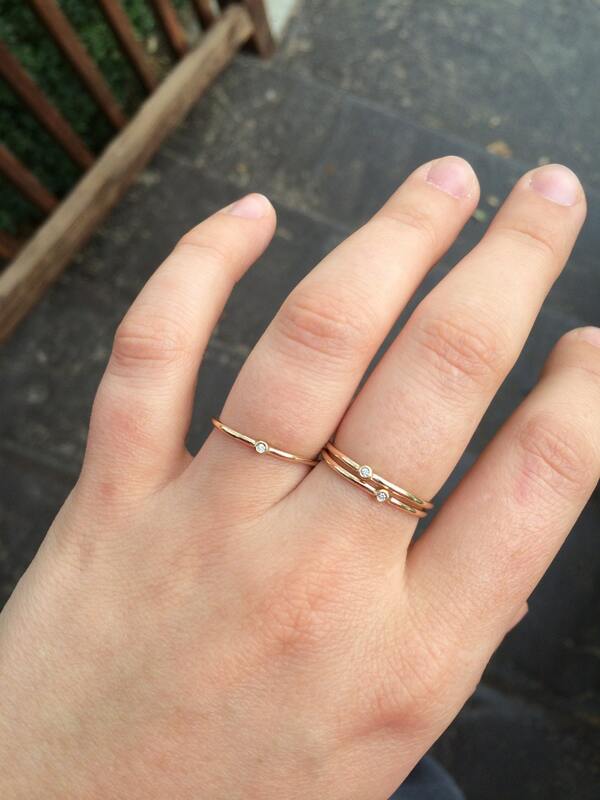 these are so dainty and pretty wear them all the time with my other stacking rings they add so much. Perfect for knuckle ring!!!! Love it!! !